Mr. Fasciano regularly counsels clients on structuring and forming U.S. and non-U.S. private investment funds, including hedge funds, private equity funds and custom “hybrid” funds incorporating features of both. Funds advised by Mr. Fasciano cover a wide variety of strategies and asset classes, with varying liquidity characteristics, including more typical asset classes such as publicly traded equities, as well as less typical asset classes such as loans, consumer receivables, and renewable energy credits. The longtime corporate attorney also has extensive experience in drafting and negotiating agreements memorializing the relationship between the principals of a fund. Mr. Fasciano has advised participants in a variety of public and private merger and acquisition transactions in diverse industries (e.g., marketing research, defense, energy, cosmetics, apparel, and steel), and has brought this practice to focus on transactions involving investment advisers, broker-dealers and other players in the financial services industry. Mr. Fasciano has a broad range of experience in the activist investor arena, having represented both activist investors as well as public companies that have been the targets of activist investors. His representation has covered a wide range of activities, from low-level agitation such as letters to the board to full blown proxy contests and/or tender offers in an effort to take control of the company. 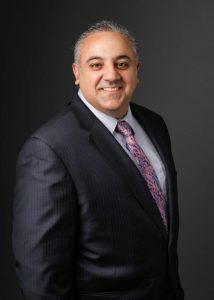 In the securities area, Mr. Fasciano is an expert in filings under Sections 13 and 16 of the Securities Exchange Act and has represented numerous public companies in connection with their reporting obligations under the Securities Exchange Act. In the derivatives area, he has deep experience with negotiating the standard International Swaps and Derivatives Association (ISDA) documentation with all major banks and has also been involved in the creation of complex custom derivatives products.